Rediscover your favorite childhood toy, taste and shop Vermont products and more. A unique fun-filled family attraction offering something for everyone! 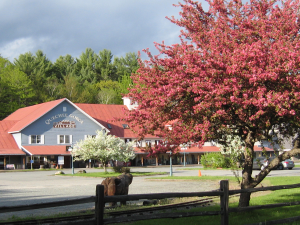 This lovely country setting is a showcase for antiques, cheese, wine and spirits tasting, clothing, restaurant, live alpacas, Vermont artisans all in a convenient location just minutes off I-89. 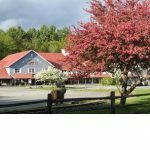 Taste Vermont at Cabot Cheese Quechee Store, Putney Mountain Winery, Public House Diner, The Ice Cream Machine, The Vermont Spot – free fudge tastings, and Vermont Spirits Distilling Company. Marvel at the work of Vermont artisans at Deirdre Donnelly Jewelry Art, Green Mountain Blacksmith Shop, Whisper Hill Body and Home, and The Wonderful World of Wanda. Find a special item to take home from Quechee Home, the Vermont Antique Mall, the Vermont Alpaca Store and Vermont Toys & Games. Relive your childhood at the Vermont Toy Museum and take a tour with the founder of this amazing museum or visit the live alpacas. Quechee Gorge Village is a three-time recipient of Yankee Magazine’s Best of New England awards: The Best Place to Shop, Best Toy Shop and Best One-Stop Antique Shop! 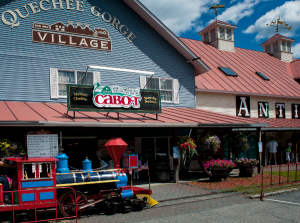 Quechee Gorge Village offers the best of Vermont in air-conditioned comfort with clean rest facilities for your customers! Please allow at least one hour or more to really enjoy this great destination stop. Dates of Operation: Open 7 days except Easter, Thanksgiving, Christmas, and New Year’s Day from 9:30am – 5:30pm. Seasonal amusement rides are weather permitting. Group Policy and Rates: Some tastings are free. Guided tour through The Vermont Toy Museum with the founder – $2/pp, 20 person minimum, reservations required. Group rates available for amusement rides. Advance notice for your visit is appreciated but not required. Ample parking. Contact: Robin Neil, Quechee Gorge Village, P.O. Box 730, Quechee, VT 05059 802-295-1550 Ext. 102.